Online form builders are necessary for running a small business. These tools make it easier to manage and accept sales leads, customer complaints, and employee vacation time. There are many companies that have designed these tools to help people organize information as it arrives. From the web-based survey tool to the basic customer inquiry form, form builders have proven their worth in the business environment. Here are the top five online form builders that may benefit your company. PHPForms is a form creation tool that will allow users to build a custom form without having to code. There is a user-friendly editor that will allow the user to view form creation as it happens. Errors are easily detectable and so are misplaced fields. 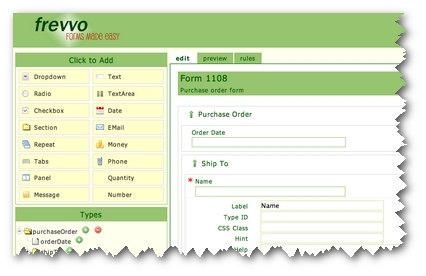 Users have unlimited use of forms and fields with the free version. According to many users, this is the best form builder in terms of affordability and ease of use. JotForm is known as one of the “Easiest Form Builders.” The web application request only requires approximately ten minutes to complete, and a simple “Contact Us” form will be built for the website. JotForm is capable of many complex features also. The free version of JotForm provides users with unlimited forms and reports. This form builder also comes with 100 Mb of data storage and up to 100 submissions. The cost for the premium and professional accounts are between $9.95 and $49.95 per month. Wufoo is appealing to customers because of its colorful orange and red-hue interface, and its user-friendly tutorials. Though it appears whimsical on the surface, the form builder is robust and powerful. 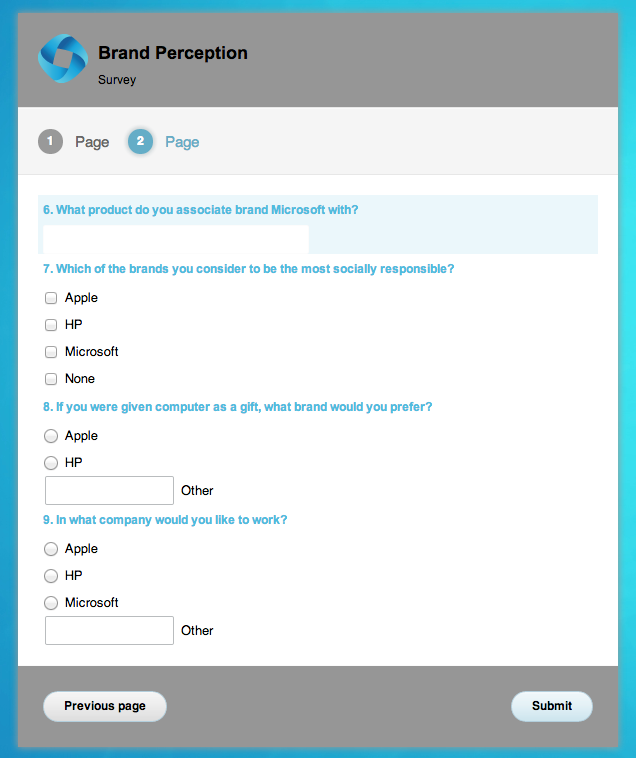 The free account includes three forms, 10 entry fields, and 100 user submissions per month. Paid accounts range between $14.95 and $199.95 every month. There is also SSL encryption and online payment integration. FormSite is similar to JotForm but it will allow for more complex functionality. The interface is user-friendly, but spreadsheets can be integrated in with other applications. The analytical tools are also coveted by this website. The free account includes five forms. Each of these accounts will accommodate 50 items on each form and will accept 100 submissions. In addition, the free account will provide 10 reports and 50 Mb of data storage. The paid accounts range from $9.95 to $99.95 per month. Frevvo is one of the most advanced form builders in the list. Live Forms are available to create business forms that are also interactive, which means that they can be shared by you, your employees, and your colleagues. An administrator will receive the forms and approve the forms. Then the forms will be returned to the original respondent. Full service access is available for a fee. Prices can be obtained by speaking with a Frevvo representative. The top five online form builders can help to propel the business to the next level. When data is managed, companies can respond to leads faster and also handle complaints faster. This builds customer loyalty and also trust by making the company appear more organized and professional. PHPForms.net is one of the best forms, and a great place to begin form creation. What you will need is Visual Form Builder! Every individual that has a website once knows that he needs to know more individual data of his website’s visitors than usually the one provided by Google Analytics (even though this info is also essential to collect ), but something they can tell you about by themself: tips, full names, preferences, inclinations, etc. Get this information and it will allow you to improve your website and produce it greater for its visitors. With its guests. So how can you get this information? Gathering this sort of personal data allows you but not just to find your own guests better, but more to enhance your internet site! This unique personal data helps you to improve the quality of your site and your interaction with visitors. Get this information and it is going to show you how to maximize your websites and also get it greater for its web site visitors. How this information may be collected? An you’ll possibly begin to google. The clear answer is again really easy — use a questionnaire form. Actually, not really a survey form as the type of the form is dependent upon the data you want to get, but definitely an on line form. Well, if you have a friend-programmer then there is no problem here. But what’re your choices if neither you, nor your pals or partners can code? Of program hiring an engineer will do the trick, but we will tell you about a much cheaper way to generate a form. The cheaper selection is to use form designer or, because it can also be called, ‘online form creator.’ Form builder is really a site that can assist you to create a form of any form easily. Form builder, also known as ‘form builder’ is a website letting you develop various kinds of forms easily. Let’s chat a bit about the huge benefits of using form creator. You do not have to code! Yes, form builders are develop the way you do not need to understand encoding dialects or HTML to be able to create a form. You simply use your mouse to drag’n’drop those fields you want your form to have and use your keyboard to adjust their properties (dimension, amount of figures granted, etc. ). Once you are done with form’s creating its code will be generated by the form creator and you’ll only need to copy it in the code of one’s website. That is all! Hiring an engineer can cost a of how much it can cost you to hire a professional.The prices on online form builder can vary depending on the service supplier and the chosen pricing plan. The good news can be saved by you is that, virtually all the form constructors have a totally free prices program. The bad news is that, free strategies have limits in comparison to the paid ones (storage location helped, CSV files to be exported by ability, etc.). Another negative point of selecting someone is time You spend time on finding a specialist. Second, you need to produce a apparent technological spec for him. Third, you need certainly to get a handle on his work.You can avoid investing this time by using form creator. Moreover, the service is assemble the way that while learning how to use it you’re already creating forms! A mark on the landscape. Unfortunately, the types of the forms you can create depends on these allowed to you by the service provider that may be a issue if you’re prepared to create some thing unusual. Hiring a programmer could boost your options to the maximum given by PHP, that will are available in handy if you’ve some abnormal ideas. expert to simply help you.|Our guidance is straightforward. If you’re looking for simple, inexpensive and fast way to create a form, use on-line form builder. If your requirements are definitely not those who can be imagined, retain a programmer.. However, in case yourdream is rich and this results inunusual suggestions regarding the forms’ building, aid of an experienced programmer may be required.|Theconclusion is straightforward. Effectively and maybe not investing lots of revenue, use online form builder, If you’d like to produce a standard form rapidly. In case you’re high in non-standard ideas regarding the forms, locate a specialist to simply help you.|Using online form builder is really a low cost, swift and effortless way to create any kind of the form you will need. None the less, in the event yourimagination is affluent and this results in tips about the forms making, support of a proficient builder could be required. An email form is basically a field where the visitors are asked to put their email addresses in. Once the emails are submitted the website owner gets them immediately. Nowadays, almost all the websites use the email forms with a so-called “email validation”. Email validation is a mechanism that checks whether the information visitor puts in the form, is an email address or not. If YES, the content is submitted and a website owner gets visitor’s email. If not, the visitor is shown an error and submitting a form becomes impossible until its content is changed to the appropriate one (i.e. to an email address). Please note that email validation doesn’t check whether the email entered is real; it only checks if it is an email or something different. How can it be used? Do you need it? And what for? If you are a website owner, then you must know that having email addresses of your visitors is important if you want to stay in touch with them. Creating a newsletter and sending news of your website and special offers to subscribers is one of the easiest and reliable ways to remind people of your website. Moreover, the more emails you have, the more people you can send the information anytime you want and of any type, not actually forcing them to visit your website. However, keep the information you sent related to the website’s topic, otherwise your newsletter will soon be considered a spam. By the way, spam can be a problem as it is the main reason why people provide their real email addresses to the websites in a Blue Moon. You don’t want to get a list of emails with a half of fake addresses, do you? So what should you do in order for your visitors to put in their real emails? Give them a strong reason to do that! Give discounts to subscribers of your newsletter! Create a giveaway to one of your products for the first 10 visitors of a special promo page and share its link in a newsletter! Find something that the visitors would find important enough, so that they could take a risk and share their real emails. Ok, but how to create an email form? As usual there are hard ways and there are easy ways. The hard way is to learn HTML and create the form on your own. If you want the form to have an email validation you will also need to find out how to add it. Or you can Google for something like “create email form”, find the code of a form you like and copy it to your website. Or ask a friend to do that. Or even hire someone. However, in all the options listed above you lose time, money or an option to customize the form. Luckily, all these are the hard ways. The easy way is to use online form builder. Online form builder is a thing that allows you to create an email form in few clicks, using your mouse and keyboard only. This method requires no knowledge of programming languages. It allows you to create and customize the email form without the need of hiring programmers or asking friends to help! Basically, the only thing you need to know in order to use online form builder is how to copy HTML code of the form inside the code of your website. Choose the way you think to be the best, embed an email form in your website and start collecting the email addresses of your visitors! How can I use online form builder? An online form builder is a programming tool used to create different forms for a webpage or a website. Using this instrument in website development has many advantages especially considering the multitude of available solutions and the amount of time that can be saved. The developer has the option to create checkbox forms, personal information input forms, data collection forms, online payment forms, polls and survey forms, registration and login forms and many more website forms for different purposes. With the help of an online form builder the website developer can add and customize website pages and can generate unique and original design solutions. Online form builders use different programming languages for form development. One of the most known and widely used is PHP. PHP is a programming language that was created for website development and it’s a language that offers great flexibility. Using PHP developers can create interactive forms that are much more appealing to the Internet user. A PHP script can be easily integrated within the HTML document and can be adapted so that the page will look great and professional. Just with a few clicks the user can modify and customize the forms he has selected by changing the themes and the colors in order to get a more harmonious integration with his webpage. The text, the numbers of fields and other design features can also be modified to suit the developer’s requirements. Using a professional PHP online form builder to generate custom forms can significantly increase the website’s traffic. The responsive forms that allow a higher degree of interaction between the website and users are a great way to build a steady audience and to generate more traffic. Providing a positive and friendly interaction between website and its visitors it’s vital for reaching and especially maintaining high rankings in Google. If we’re talking about a business website then here the advantages are even more substantial because a good interaction with the customers is the key to a successful business activity. The developer has the option to create custom payment and billing forms that can provide an easy and simple online shopping experience for clients. Also there is the option to encrypt the data in your forms and to export and structure information in a CSV file. Researches and people who do scientific work will discover great benefits in using a form builder for surveys and data collection for their projects. They have the possibility to analyze and group information based on certain criteria. Online forms can help them to reach to a very large audience and to perform a detail oriented study on a certain subject. With online form builder validating and submitting information is made easy for every Internet user regardless of his experience or qualification. Using an online form builder doesn’t require too much programming skills as these are pre-generated solutions that involve very little coding work from the part of the client. Generally, the online form building services have detailed instructions and tutorials for clients. All the tool generators that can be seen today have maximum of usability and are very customer friendly. The programming and coding has been reduced to a simple set of commands the will build a required form in no time. Today there are many websites that use pre-generated forms for their standard procedures such as registration, comments and menus. Online form building services provide the option to concentrate on the actual content and purpose of the forms rather than digging into the code and trying to come up with a valid solution.